Methanol is a natural by-product of wood alcohol, natural gas and coal. It has also recently garnered attention for being used in biofuel. But don’t let the “green” of this chemical fool you. Methanol is very dangerous and can cause death when mishandled. Therefore, it is crucial to understand how to handle methanol in a safe and effective way. What Is Methanol And What Are Its’ Unique Characteristics? Methanol, also known as methyl alcohol and wood alcohol, is a simple alcohol that is a light, colorless and highly flammable liquid with a smell slightly sweeter than that of ethanol. Methanol occurs naturally and is even produced in the human body in extremely small quantities. It has become an essential additive in many commonly-used products, so everyone comes into contact with trace amounts of methanol each day. Methanol is an essential ingredient in biofuels made with fats and oils, as it acts as a catalyst in the production of the biodiesel fuel. Methanol is highly flammable and toxic. Direct ingestion of more than 10mL can cause permanent blindness by destruction of the optic nerve, poisoning of the central nervous system, coma and possibly death. These hazards are also true if methanol vapors are inhaled. 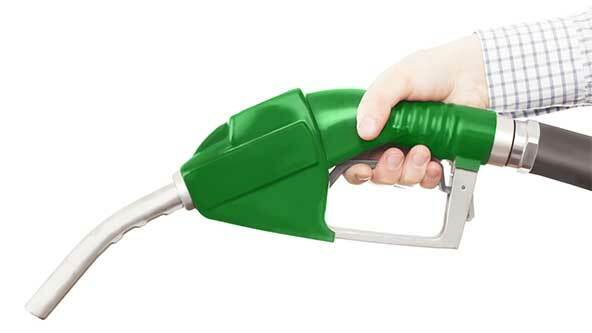 When handling methanol, including biofuels, it is best to avoid direct exposure as much as possible. As such, it is imperative that safety gear be worn, especially those that cover the face, eyes and skin. If working where methanol vapors are present, proper ventilation is imperative for safety. Should methanol come into direct contact with the skin, remove any contaminated clothing and wash the affected area with soap and water for 15 minutes. If methanol comes into contact with the eyes, flush immediately with tepid water for 15 minutes and then seek qualified medical help. Lastly, if ingested, seek immediate medical attention and do not induce vomiting. If a methanol spill occurs, stop or reduce the discharge of the methanol (if it can be done without risk) and immediately call your local fire department. Try to isolate the spill/leak area in at least 330 to 660 feet in all directions. Remove and eliminate all sources of potential ignition and stay upwind. Do not touch or walk through any spillage and prevent the spilled methanol from entering into waterways, sewers, basements or confined areas. When storing methanol, it should always be kept within a closed system or environmentally-approved container; never leave methanol open to the air. Label containers in accordance with local regulations and site requirements. Comprehensive product handling procedures and systems need to be in place at all storage and transfer points. Methanol is mostly non-corrosive when stored with metals at ambient temperatures, but are corrosive with lead, magnesium or platinum. When seeking to dispose of methanol, large quantities of waste can be disposed of at a licensed waste solvent company or reclaimed by filtration and distillation. Waste methanol, or water contaminated with methanol, must never be put directly into sewers or surface waters, nor poured down the drain, on the ground or into any body of water. For more information on the safest way to dispose of excess methanol, check with your local environmental office. MSDSonline is your go-to partner for custom, detailed MSDS resources in the workplace. Take advantage of our free trial today to get started!